When Mt. Washington Valley-based writer and climber Mark Synnott was tipped off by filmmaker Jimmy Chin that Alex Honnold was planning to free solo El Capitan, Synnott set out on a three-year project to document the emergence of the “post-golden age” of climbing. 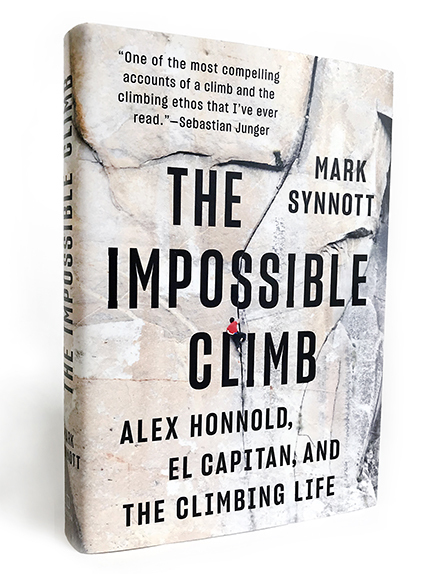 In “The Impossible Climb: Alex Honnold, El Capitan and The Climbing Life,” Synnott brings us with him on many trips as he shares details of what are now considered some of the greatest athletic feats of our time. In 393 pages, Synnott reveals the status of contemporary climbing culture and opens up the world of climbing history. We’re given all the thrills of an expedition, but spared the first-hand experience of frostbite, broken bones and the smell of sharing a small space with stinky friends wearing adrenaline-caked technical clothes for weeks at a time. Climbing is a unique subject to cover because it’s one of the few sports where the person capturing the story needs to be equally as capable as the athlete. “The Impossible Climb” illuminates how National Geographic’s film and photos, Climbing Magazine’s articles, and the bits of extreme video that became viral sensations were captured. Through his vignettes of expeditions, Synnott illustrates the lives of elite explorers and athletes. We witness the meticulously detailed trip planning and training process as it takes place and join “climbing bums” on their first ascents. We drink coffee in tents suspended on cliffsides thousands of feet above the ground, dip into tense personal conflicts just below the summit, and witness as friends are lost in the ultimate game of chance, skill and luck that is extreme climbing. Synnott deploys an encyclopedic vocabulary to express nuances of climbing culture. Sources for the book range from Alex Honnold’s personal journals to campfire hangouts, longform articles in adventure magazines, and even a scan of Honnold’s brain to help understand his ability to switch off the normal fear response. It’s an engaging read cover to cover — delightful, shocking, thrilling, saddening and motivating. Each chapter deepens the larger story of struggle and awe within the adventurer’s life. Thankfully, Synnott doesn’t gloss over the rough patches that inevitably bubble up on long and trying expeditions: the ego, the disagreements, and the relentless training. It’s a book about what lives in the hearts of people devoted to a dream. 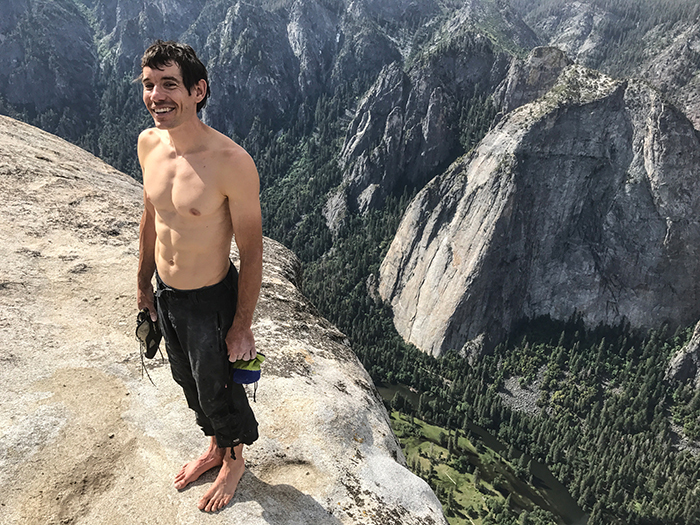 Those who have experienced “Free Solo” the movie and have become intrigued by Honnold’s personality and quirkiness will enjoy the collection of “Alexisms” sprinkled through the book. Many of the anecdotes may make you laugh out loud, while others might challenge the self-imposed limits that keep you from chasing a dream. Honnold makes the choice to defy death, knowing that many great climbers who made similar attempts before him were reduced to cautionary stories told around the campfire and ashes scattered around their favorite cliffs by surviving friends. Mark Synnott lives in Jackson at the base of Iron Mountain where he operates Synnott Mountain Guides. “I’ve traveled all over the world and I feel so lucky to live in New Hampshire. I can jump in the car and be at the cliff in minutes,” he says. “The Impossible Climb,” $28, is published by Dutton. It’s been a banner year for New Hampshire native Matt Renner. He’s part of the Oscar award-winning team behind “Free Solo,” which was named this year’s Best Documentary Feature. The movie follows one man’s quest to climb the face of El Capitan — an almost completely vertical 3,000-foot ascent — without any ropes. 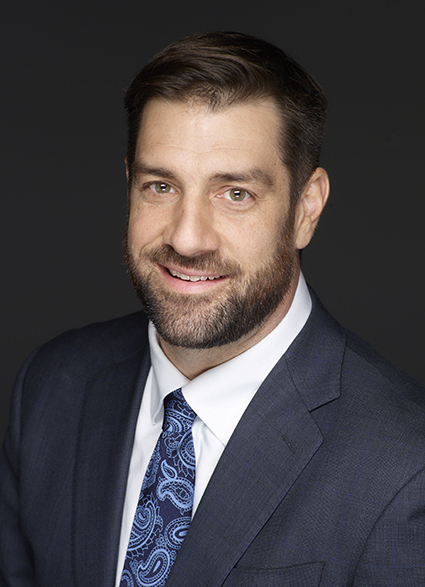 New Hampshire Magazine contributor Casey McDermott caught up with Renner, the film’s executive producer, after his big win. What drew you to documentary filmmaking? The camera became an extension of my arm at quite an early age. But truthfully, it would not have become a part of my life had it not been for my grandmother Ruth. While I like to think I come from a family full of truthsayers and storytellers, Ruthie is certainly the source of much of my inspiration. She was a badass in every sense of the word, and a woman who was way ahead of her time. Ruthie was a buyer and purveyor of women’s fashion in St. Louis and she ran the floor at her store, The Grapevine. Imagine walking into a women’s clothing store with the simple task of buying a scarf and then being wonderfully surprised with a mind-bending, hilarious and soulful one-act Broadway comedy — or musical, depending on her mood. And at the end, not only would you walk away feeling better about yourself, you’d have the scarf you dreamed of owning plus an entire winter wardrobe. That’s what you got with Ruth. She sold herself and was the consummate storyteller, a producer at heart. But her art derived from being vulnerable and a great active listener, which you know are kind of the unspoken golden rules to documentary storytelling … perhaps life. You grew up in Durham, correct? 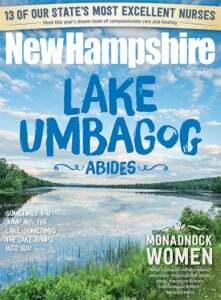 Did you dabble in any filmmaking during your childhood in New Hampshire? I did grow up in Durham, yes. And, well, I’m chuckling because I wouldn’t go as far as characterize what we did as “filmmaking,” but maybe I should! At an early age, my brother Jamie and I would grab my mother and father’s Hi8 camera from time to time and produce some ridiculous videos. “Bucket-Head Man” was a big hit. I always loved the medium, but it wasn’t really until my early 20s that I found a true passion for photography. New Hampshire’s terrain is much different than the one at the center of your film, of course, but did you draw on any experiences hiking or exploring the Granite State to inform your approach to the film? I’ve always been emotionally pulled forward by authentic characters set against a backdrop of an epic adventure, where the best of man or woman intersect with each other or mother nature. Jack London’s short story “Love of Life” captured my attention at an early age; I still find myself rereading a lot of his work as I decompress on my train home. And I loved Hemingway as a kid. My point is, those master storytellers seeded a passion to discover the world and then, yes, what better backdrop than the wilds of New Hampshire to test my mettle. My passion for exploration was also reinforced by my parents — they made it a point to expose me to the woods, mountains and the water, at an early age. I became more in tune with my body and my mind — I certainly grew to appreciate my limitations. But more than anything, my childhood and the wonderful Seacoast community surrounding Durham gifted me an opportunity to shape my own unique perspective on the world. New Hampshire served as a strong foundation to leap from. And I couldn’t ask for a better foundation, not just for storytelling, but for life. “Free Solo” is as much about the emotional journey of its central character as the physical feat at the center of the film. What do you think the film has to offer audiences who might not view themselves as outdoorsy or daring as Alex Honnold? Amidst all the craziness we negotiate on a daily basis in a world spinning way beyond our control, there is a man living in a van who has somehow artfully managed to slow everything down. Alex takes life second by second, finger crack by offwidth, and through a very deliberate and calculated lifestyle, he has been able to make the world spin his way. He teaches us that being uncomfortable in your skin is OK because there is a path for everyone, and you can achieve anything you set your mind to. You can make your dreams a reality. Any chance we could see a future documentary of this kind set against a New Hampshire backdrop? Nothing would give me greater pleasure. If you want to check out the film yourself, “Free Solo” is currently available on National Geographic’s On Demand.